Hello Dramatics! I am back again with another DramaFever Drama Club review for the K – Drama Doctor Crush. If you want to know what June, Logan and I thought about the final episodes, click here: Episodes 18-20 Remember to check out Episodes 1 & 2 Episodes 3 & 4 , Episodes 5 & 6 Episodes 7 & 8 Episodes 9 & 10 Episodes 11 & 12 Episodes 13 & 14, Episodes 15 & 16 and Episode 17 just in case you may have missed it. Don’t forget to remember to check out my You Tube Channel for updates and reviews. Let me know what you think of this drama! Leave a comment below and lets chat! Until next time Dramatics, remember to Keep Calm And Drama On! Hello Dramatics! I am back again with another DramaFever Drama Club review for the Chinese Drama Ice Fantasy. If you want to know what Wendilynn and I thought about the latest episodes, click here: Episodes 11 – 14 In case you missed it, check out Episodes 1 – 10 Don’t forget to check out my You Tube Channel for updates and reviews. Let me know what you think of this drama! Leave a comment below and lets chat! Until next time Dramatics, remember to Keep Calm And Drama On! Hello Dramatics! I am back again with another DramaFever Drama Club review for the K – Drama Doctor Crush. If you want to know what June, Logan and I thought about this weeks episodes, click here: Episode 17 Remember to check out Episodes 1 & 2 Episodes 3 & 4 , Episodes 5 & 6 Episodes 7 & 8 Episodes 9 & 10 Episodes 11 & 12 Episodes 13 & 14 and Episodes 15 & 16 just in case you may have missed it. Don’t forget to remember to check out my You Tube Channel for updates and reviews. Let me know what you think of this drama! Leave a comment below and lets chat! Until next time Dramatics, remember to Keep Calm And Drama On! Hello Dramatics! Your favorite Drama Queen is back with another exciting drama preview! Love O2O is a romantic Chinese drama about two college students who fall in love playing an online RPG game. This drama stars Yang Yang and Zheng Shuang and is 30 episodes long. Judging by the posters and trailer is romantic drama is one that you do not want to miss. Yang Yang and Zheng Shuang are stunning as a couple and I look forward to seeing how the romance between them blossom. Love O2O premiers August 23, 2016 on DramaFever Are you as excited as I am to watch? Leave a comment below and let me know what you think! Don&apos;t forget to follow me on my You Tube Channel for Asian Drama reviews and much more. Until next time Dramatics! Remember To Keep Calm And Drama On! Hello Dramatics! I am back again with another DramaFever Drama Club review for the K – Drama Doctor Crush. If you want to know what June, Logan and I thought about this weeks episodes, click here: Episodes 15 & 16 Remember to check out Episodes 1 & 2 Episodes 3 & 4 , Episodes 5 & 6 Episodes 7 & 8 Episodes 9 & 10 Episodes 11 & 12 and Episodes 13 & 14 just in case you may have missed it. Don’t forget to remember to check out my You Tube Channel for updates and reviews. Let me know what you think of this drama! Leave a comment below and lets chat! Until next time Dramatics, remember to Keep Calm And Drama On! Hello Dramatics! I am back again with another DramaFever Drama Club review for the K – Drama Doctor Crush. If you want to know what June, Logan and I thought about this weeks episodes, click here: Episodes 13 & 14 Remember to check out Episodes 1 & 2 Episodes 3 & 4 , Episodes 5 & 6 Episodes 7 & 8 Episodes 9 & 10 and Episodes 11 & 12 just in case you may have missed it. Don’t forget to remember to check out my You Tube Channel for updates and reviews. Let me know what you think of this drama! Leave a comment below and lets chat! Until next time Dramatics, remember to Keep Calm And Drama On! Hello Dramatics! Your Drama Queen is back with another K – Drama Preview. I am excited to announce that I will be reviewing the K – Drama Let’s Drink. Let’s Drink is a spin off of the K – Drama series Let’s Eat and Let’s Eat 2. Let’s Drink has amazing and very talented cast which includes: Ha Suk Jin, Park Ha Sun, , SHINee’s Key, , and Gong Myung. This cast of characters are portraying students and instructors at a private institute who bond over the hardships of their jobs and personal lives over a glass or two. Let’s Drink premiers on DramaFever September 5th! Will you be watching? Leave a comment below and let me know what you think about this upcoming drama! Remember to check out my You Tube Channel for more K Drama Reviews. Until next time Dramatics! Remember To Keep Calm And Drama On! Hello Dramatics! I am back again with another DramaFever Drama Club review for the Chinese Drama Ice Fantasy. If you want to know what Wendilynn and I thought about the latest episodes, click here: Episodes 1 – 10 Don’t forget to check out my You Tube Channel for updates and reviews. Let me know what you think of this drama! Leave a comment below and lets chat! Until next time Dramatics, remember to Keep Calm And Drama On! Hello Dramatics! 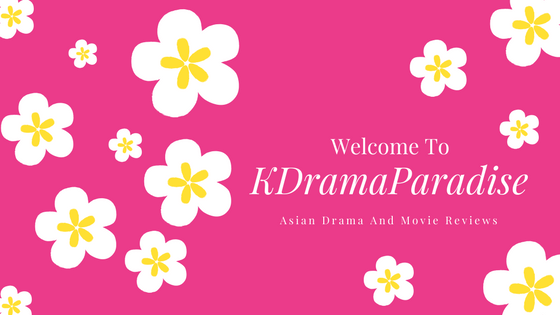 I am back again with another DramaFever Drama Club review for the K – Drama Doctor Crush. If you want to know what June, Logan and I thought about this weeks episodes, click here: Episodes 11 & 12 Remember to check out Episodes 1 & 2 Episodes 3 & 4 , Episodes 5 & 6 Episodes 7 & 8 and Episodes 9 & 10 just in case you may have missed it. Don’t forget to remember to check out my You Tube Channel for updates and reviews. Let me know what you think of this drama! Leave a comment below and lets chat! Until next time Dramatics, remember to Keep Calm And Drama On!